Exciting news! 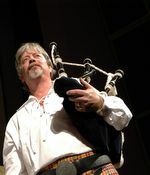 The Jacobites, Florida's premier bagpipe and Scottish drumming band, has graciously agreed to perform in honor of John Hamilton Gillespie Week. On Monday's October 24th Kick-Off Party at O'Leary's Tiki Bar from 5 - 7pm, an ensemble of bagpipers will help launch the week's festivities. Then be sure to catch the full pipe and drum band along with their Highland dancers at Saturday's October 29th Palm Avenue Street Party from 3 - 7pm. Both events are free and open to the public. 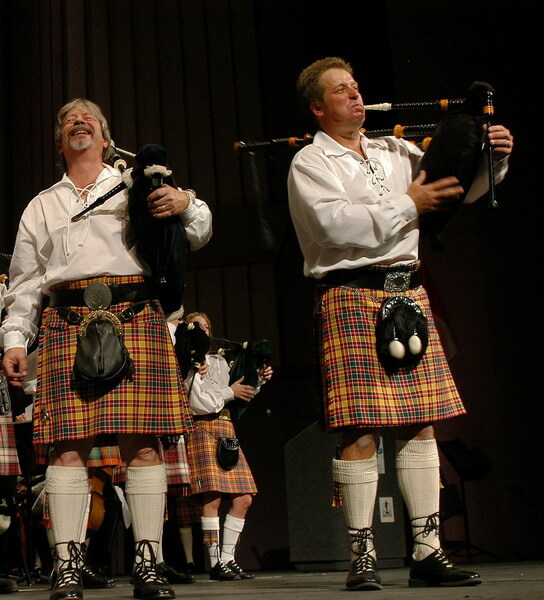 The Jacobites Pipe and Drum Band was founded by Gary Reinstrom and Larry Jacobs. Gary Reinstrom, Pipe Major and moving force behind the band, has been playing the bagpipes since he was 13 years old. Gary is a professional musician whose career includes playing French horn with the Florida West Coast Symphony and with the Sarasota Pops Orchestra. He was the pipe instructor at Riverview High School and continues to give pipe lessons. Larry Jacobs is the son of a Glaswegian. He grew up listening to Scottish pipe and folk music. At age 46 Larry sought out Gary to teach him to play the pipes. A friendship ensued and when Gary was asked to lead the Patriot’s Day parade on the first anniversary of 9/11/2001 Larry and Gary formed the Jacobites Pipe and Drum Band. Gary and Larry share a vision of celebrating the Scottish heritage of the Sarasota area and spreading the joys of pipe music. The band is promoted by the Celtic Cultural Association of Florida, Inc., a non-profit corporation, tax deductible charitable organization.